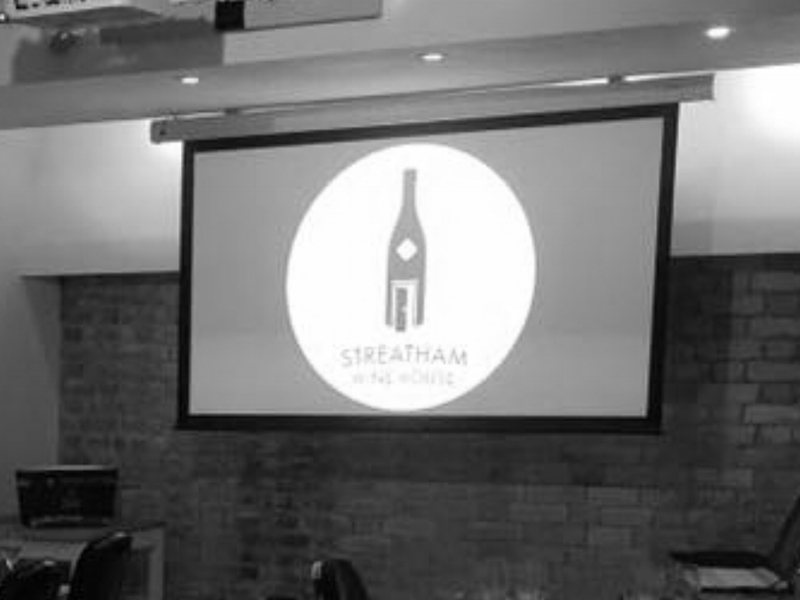 Streatham Wine House would love to host your next private event! Our private tasting room, The Den, is available for private hire any day/evening of the week! Be it a private party, dinner, movie night, meeting, wine or beer tasting, or even just a post-work get-together, we have got you covered! The Den is able to host groups of up to 40 seated or 60 standing, and is fitted with a state-of-the-art projector with surround sound and comes complete with a private bar. We are happy to help tailor a bespoke afternoon or evening for you. The Den's open plan design and exposed brick walls make it the perfect backdrop for any occasion. We are happy to host any private party or event any evening of the week. For evening bookings, The Den is bookable on a guaranteed minimum spend - there is no flat hire fee! The Den's open plan design and newly installed projector and screen is a great space to hold your next space to hold your next corporate event or meeting. If you are interested in booking The Den for your next private party or event, or if you have general enquires about the space, please reach out to us by completing the below form. One of our lovely staff will shortly be in-touch!